Parts of Delhi-NCR were battered by a dust storm late on Monday, followed by light rain which brought temperatures down bringing respite to the people from the heat. 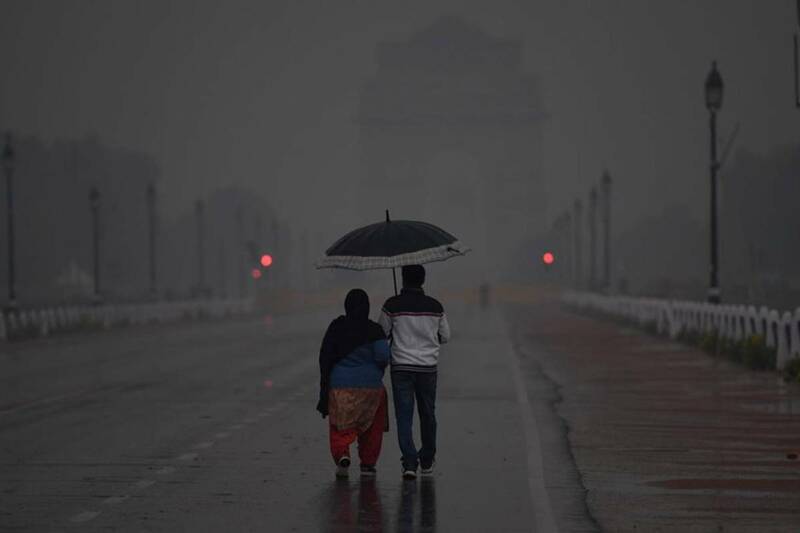 Farily widespread to widespread rainfall is likely in Delhi-NCR and parts of western Uttar Pradesh, according to predictions of the weather department. Strong winds of speeds of up to 50 km per hour began lashing Delhi after 9 pm and continued till about 2 am of Tuesday, 16 April. According to Skymet Weather, Delhi’s Safdarjung Observatory recorded 1.1 mm of rainfall. Delhi’s Safdarjung Observatory recorded a temperature of 20.5˚C in the night – a drop of 5˚C. India Meteorological Department (IMD) had on 13 April predicted rain fairly widespread to widespread rainfall in Uttarakhand, Haryana, Punjab, Chandigarh, Himachal Pradesh and Jammu-Kashmir on 16 and 17 April. Rainfall is likely to be widespread in all the states and Union Territories on 17 April, Wednesday. In Delhi and NCR region, rainfall is likely to be fairly widespread in all areas. Delhi is likely to receive fairly widespread rainfall on 16 April. Meanwhile, the Met Department predicted moderate thunderstorm and lightning accompanied by dust storm with winds and rain across parts of western Uttar Pradesh. According to the Met office at Lucknow, Baghpat, Meerut, Hapur, Amroha, Muzaffarnagar, Lalitpur, Unnao, Hardoi, Sitapur, Lucknow, Raebareli dist and adjoining areas will receive rain and strong winds. Arunachal Pradesh, Assam, Meghalaya and Madhya Pradesh are likely to receive fairly widespread rainfall on 16 and 17 April.